You Must Be Hatched Again! 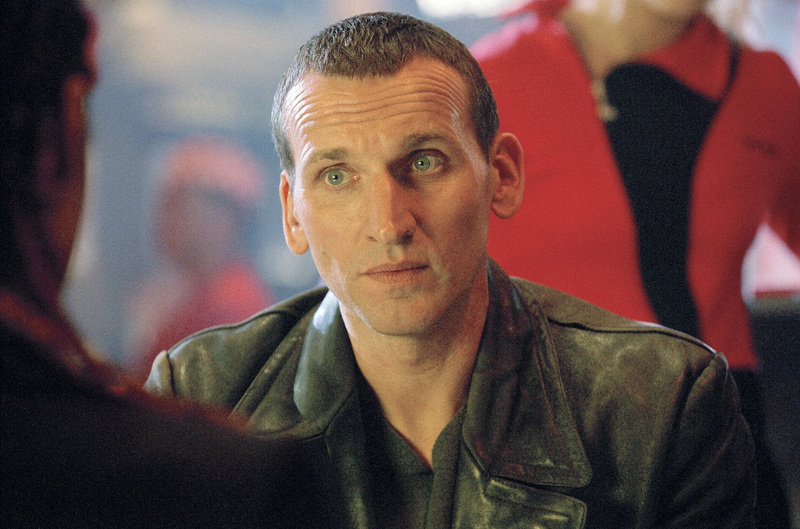 The time and space travelling alien, known as the Doctor returns to England, discovering that a former enemy lives. Going by the name Margaret, she and her criminal family, the Slitheen, attempted to turn the Earth into a nuclear wasteland in a previous episode, so they could sell the radioactive waste to other planets for huge profits. Now, stranded on Earth, she has devised a way to leave, although it would result in an explosion that would destroy the planet. Although the Doctor easily apprehends Margaret, what should he do next? She callously sacrifices the lives of others and cannot be trusted. Left on Earth, she would try again. If brought elsewhere, who then would she harm? What authority does the Doctor have to punish? So, he decides the best option would be to bring her to her home planet, Raxacoricofallapatorius. But there, she would face a slow, painful death for her many crimes. The Doctor listens, but remains unconvinced. Although I’m hoping none of my readers “slaughter millions”, I think the quote points out the absurdity of the idea that doing some good can make up for guilt. Yet, the notion that if you’re good enough, you get to go to Heaven is the most popular myth about Christianity. Meanwhile, this justification exists in most world religions that you will be rewarded if your good deeds outweigh your bad. Next, Margaret accuses her accuser, the Doctor. In general, this is the “I’m not as bad as others” tactic, but more specifically, as she likens him to a god, this represents the tactic of accusing God as flawed and unable to judge. Lastly, she blames her upbringing, saying that others turned her into a killer. These rationalizations can each be the subject of a blog article, but they do not change the simple fact to which the Doctor keeps returning: she callously prioritizes herself over others, and she will continue to do so. So, what do we do with our guilt? We may not have attempted to blow up a planet for our personal benefits, but have we sacrificed the welfare of others when it comes into conflict with our wants or needs? Have we tried the same tactics as Margaret? Do my good deeds outweigh my bad, and even if the good deeds were more plentiful, would that somehow lesson the pain done to others? Does the greater fault always seem to lie with someone else? 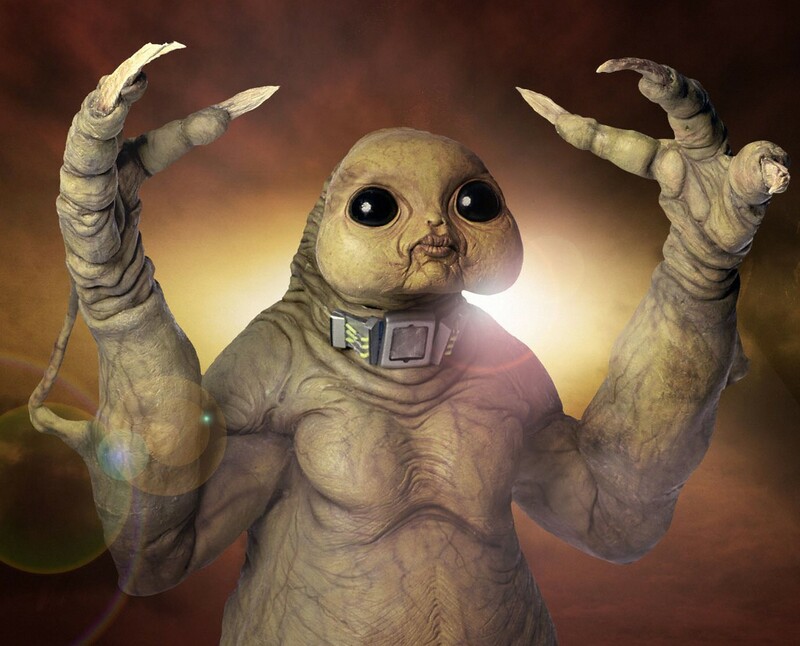 The Slitheen might look scary (or cheesy) now, but the real problem is that kill people and use their bodies as disguise. All images © BBC. After her justifications (and attempts to kill the Doctor) fail, Margaret and the Doctor return to the ship, the TARDIS. Here, in the fairly typical Deus ex Machina ending of the show, she stares into the “heart of the TARDIS”, and she is transformed into an egg. She will hatch again and have no memories of her criminal life. Satisfied with the justice of her old life ending, the Doctor was happy to bring her to a hatchery, not court room, on her home world. But, we do need the transformation that goes beyond trying hard. The old self must die, just as it did for Margaret, and we need to be created anew. As Jesus said, “Truly, truly, I say to you, unless one is born again he cannot see the kingdom of God” (John 3:3). If you’ve had bad experiences with the term in modern American evangelicalism, consider what Jesus may have meant when he said these words. Just like Margaret, we cannot exonerate ourselves with excuses. We cannot be trusted to live without causing others harm. In other words, Heaven would not be Heaven if we were there. But thankfully, God does not want to punish us or get rid of us. We have the option to be born again. God will completely transform us from selfishness to selfless love when we are with Him in eternity, but this process can begin now. Have you asked God to transform you and to start life afresh? And whether you have or not, why not pause and examine what specific excuses you’ve been holding on to? Why make excuses when God gladly offers to empower you to live a life full of love? Beautifully and clearly written. Gives a concise case for people to examine their lives and hand that life to God for Him to make life-affirming changes. Thanks. I’m glad you liked it! It’s wonderful that even though we honestly examine our lives, we do not have to live with guilt, but God desires instead that we experience a joy-filled, transformed life.